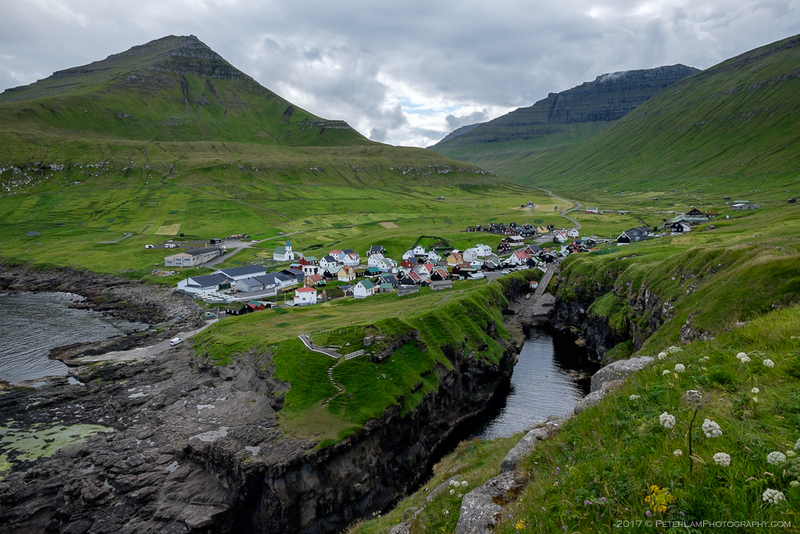 I just returned from a 7-day trip to the Faroe Islands, and I can’t wait to share with you my experiences and photos from this amazing place. Located roughly half-way between Iceland and Norway in the North Atlantic Ocean, the Faeroes are an autonomous, self-governing country under the Kingdom of Denmark. 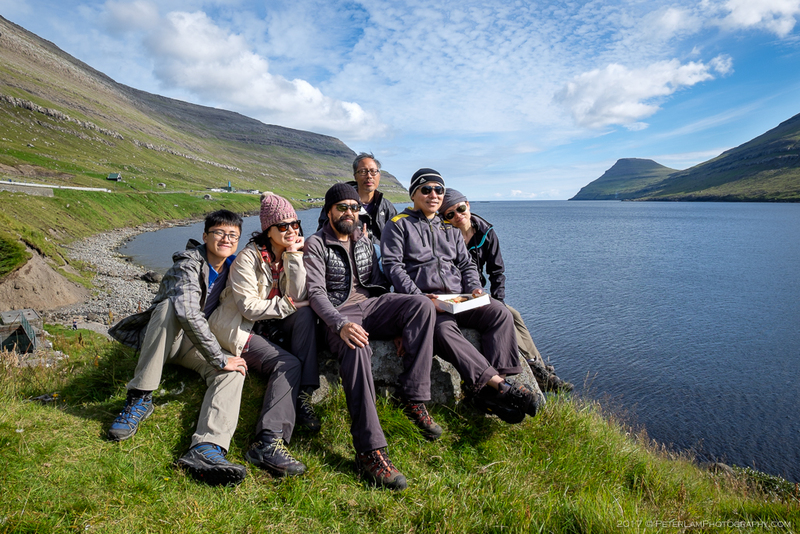 A group of six travellers, we spent a week touring, hiking, and exploring this remote and rugged archipelago. The Faeroes are an island group consisting of 18 major islands with an excellent road infrastructure connecting most landmasses via tunnels or bridges, and others with ferry and helicopter transport. Weather is notoriously variable as microclimates form around the mountain peaks and steep sea-cliffs; due to the moderating influence of the Gulf Stream, winter temperatures are generally mild despite the islands’ northerly location. Summers are cool, windy, and wet, with most days being overcast. We got pretty lucky with a few rare sunny days on the majority of our trip. 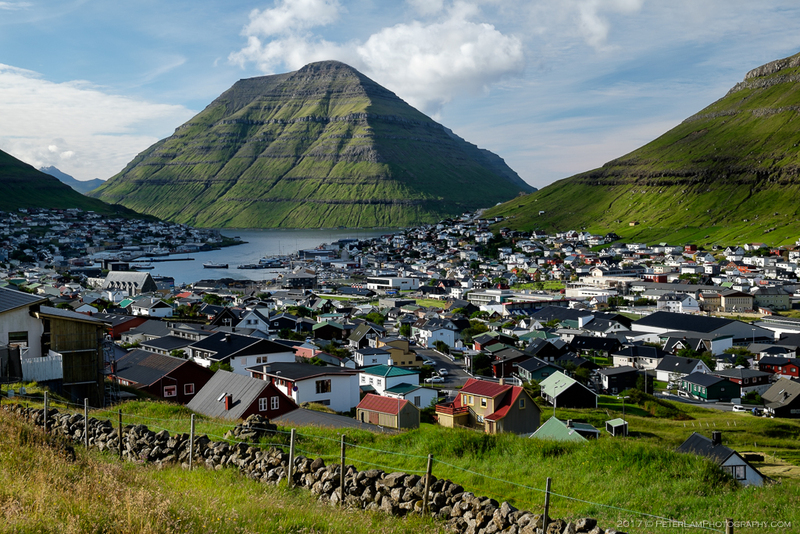 I was born and raised in Copenhagen, and recall fleeting references to this faraway place in my youth, but never really gave the Faroe Islands much thought otherwise. As it turns out, these islands are truly hidden gems just waiting to be discovered. With a distinct culture, language, and friendly population (including countless curious sheep), this destination is a must-visit on your bucket list. And the natural scenery here is nothing short of spectacular. In the coming weeks I’ll be posting the photos from this breathtaking place (and there are a lot of pictures, including a brief side trip to the Golden Circle and southern Iceland in our transit from Toronto via Reykjavík). 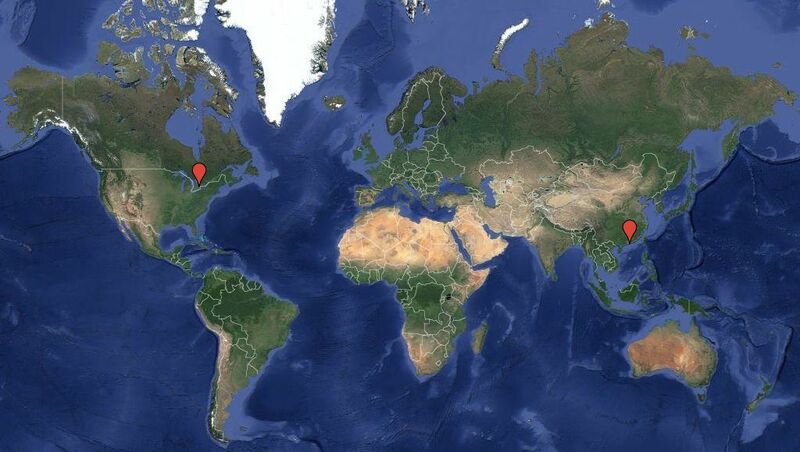 Here is a brief summary of our week-long itinerary. Check back often as I will be linking individual posts to this index page as they become available. We hit the ground running on Day 1 with the toughest hike on our itinerary. 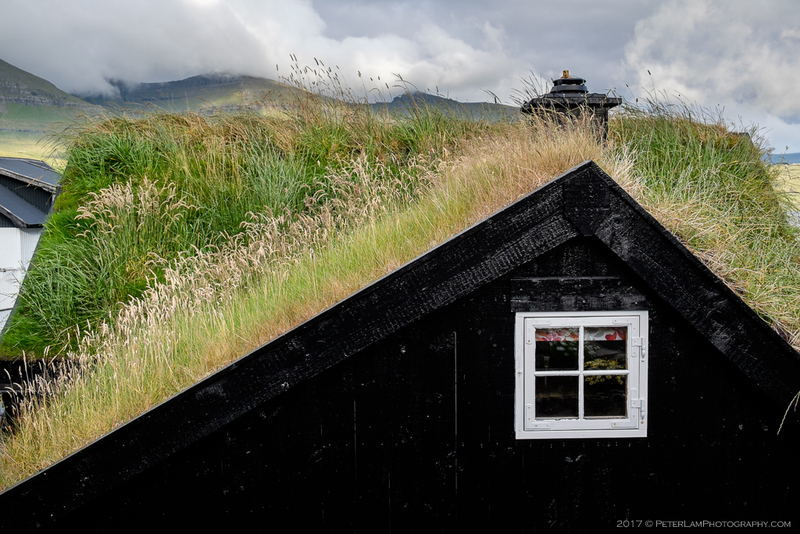 After landing at Vágar airport and finding our accommodations at Klaksvík, we head to the village of Viðareiði and hike up Villingadalsfjall mountain, the highest point on Viðoy island. Fortunately, 16-hours of summer daylight make evening hikes possible. 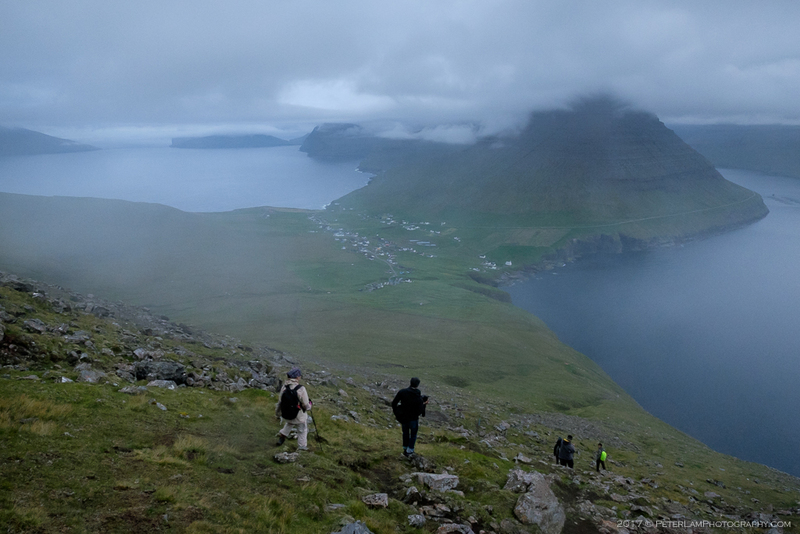 Day 2 is a rest day with some exploration of Klaksvík, the second largest town of the Faroe Islands. 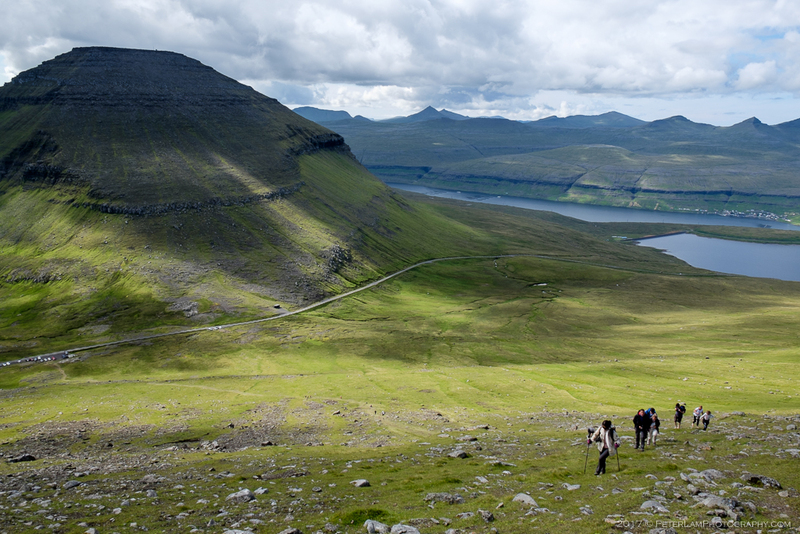 We also do an easy trek up neighbouring Klakkur mountain for a great view of the harbour and surrounding peaks. 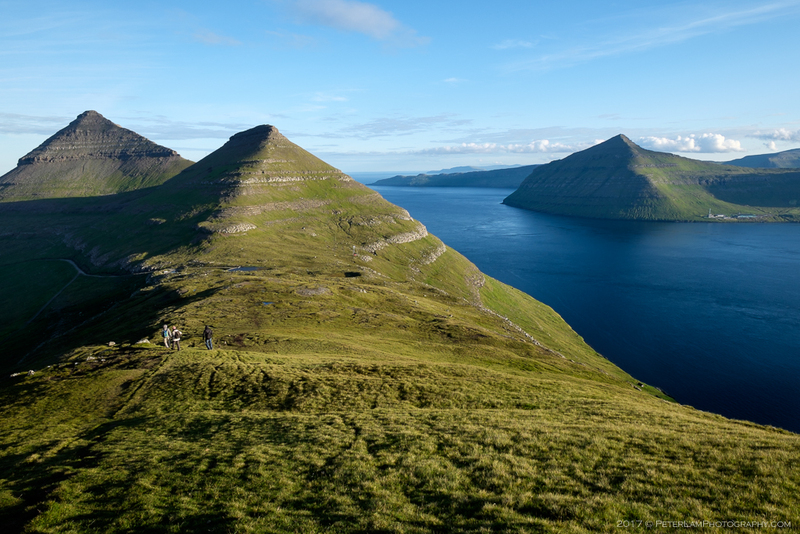 At 880m, Slættaratindur is the highest mountain on the Faeroes, and a popular hike for both locals and visitors. After tackling this behemoth, we visit the picturesque village of Gjógv with its gorge and natural harbour, and Saksun, known for its seawater lagoon. 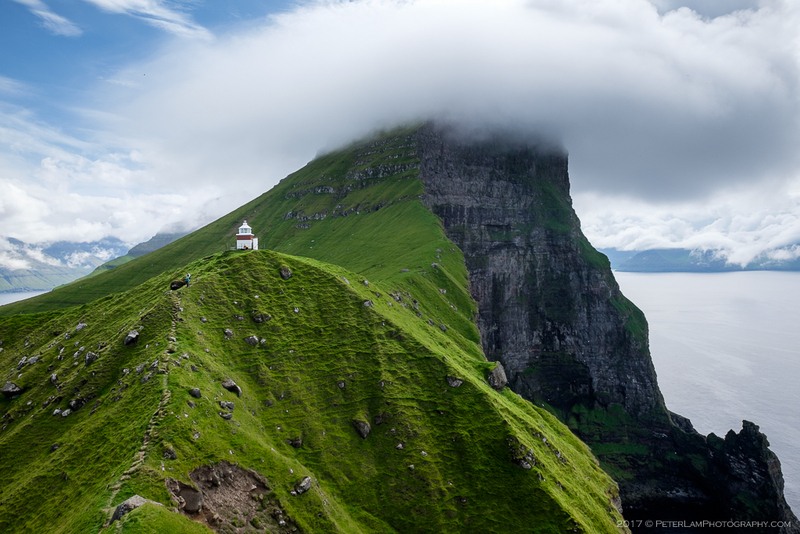 The view of the lighthouse on Kalsoy island is one of the most spectacular vistas in the country, and no visit to the Faroe Islands is complete without a hike to this amazing place. Not for the faint of heart, though… the walk to the precipice will surely get your adrenaline going! 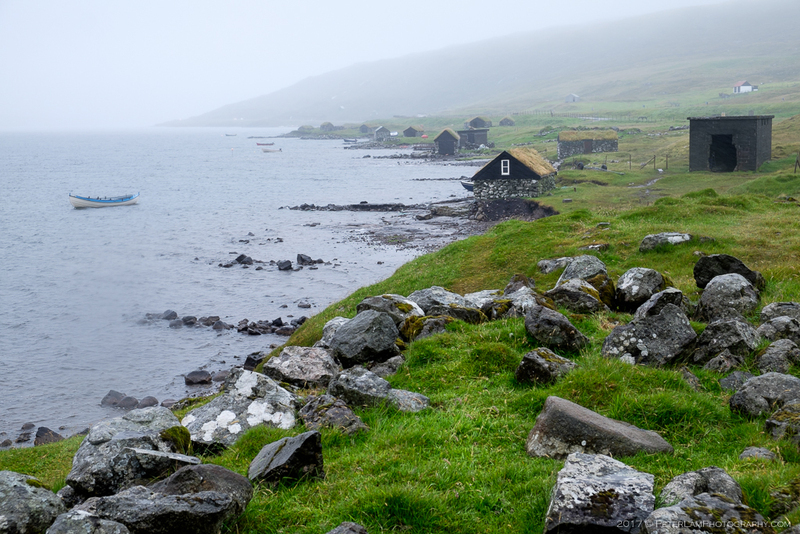 We also visit two pretty villages on northern Streymoy island – Haldórsvik and Tjørnuvík. 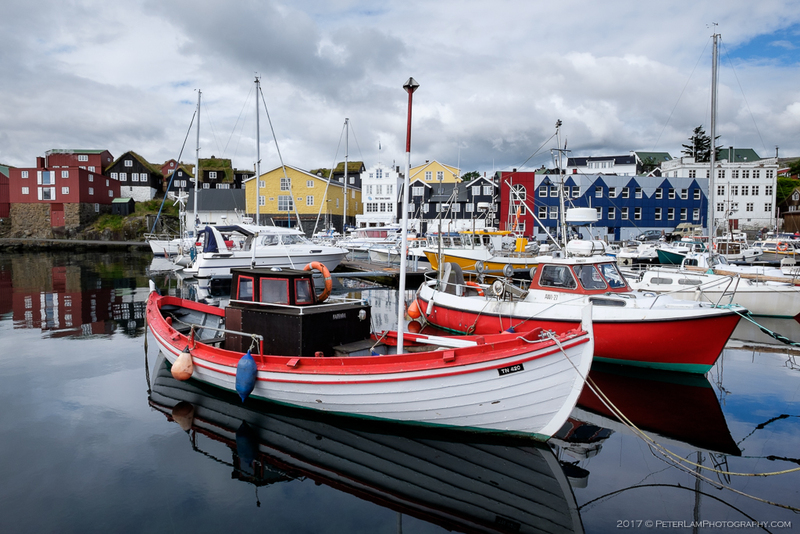 On Day 5 we visit Tórshavn, the capital and largest town of the Faroe Islands, and Kirkjubøur, the southernmost village on Streymoy island and the country’s most important historical site. 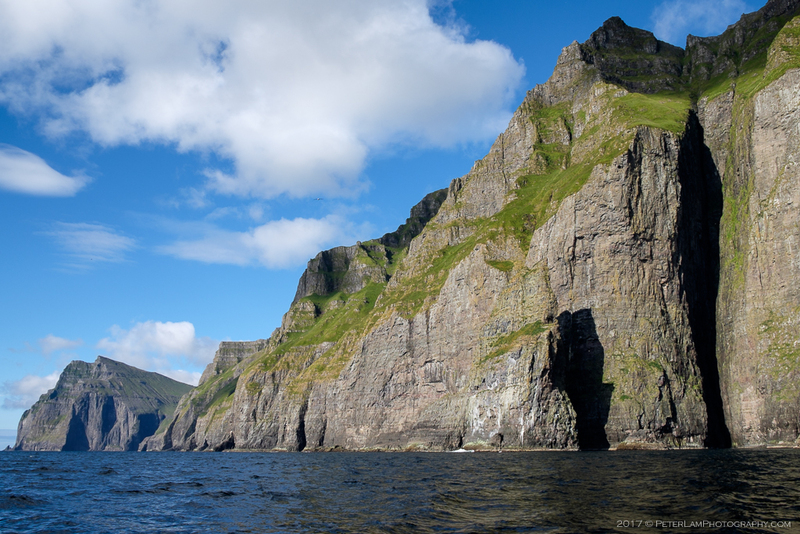 Later in the day we take an evening boat excursion along the wild coastline off Vestmanna town. 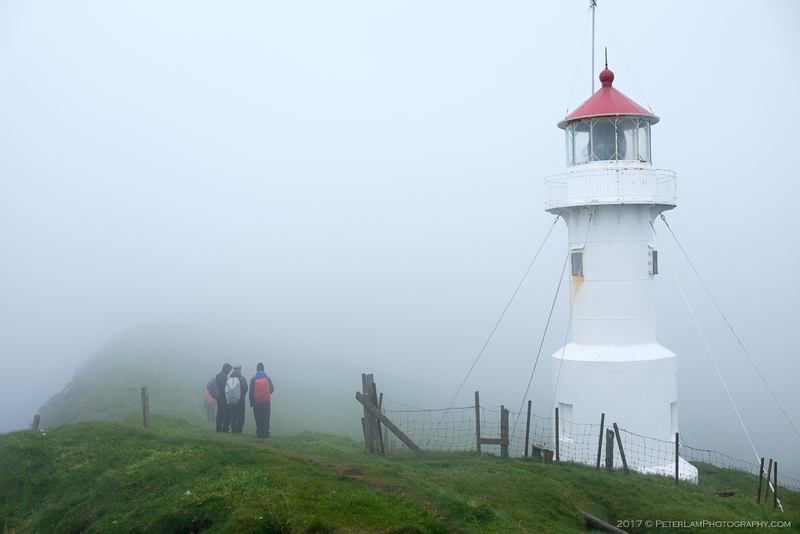 Mykines is the westernmost island of the Faroes and a paradise for birdwatchers. 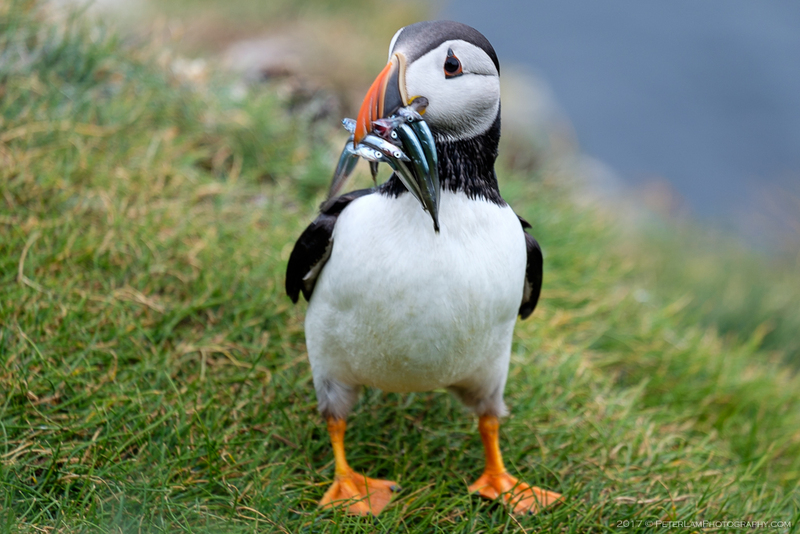 A hike to the islet of Mykineshólmur brings you up close and personal with thousands of puffins and their nesting burrows. The island is also home to many other migratory seabirds. Our last full day on the islands is also the most miserable weather-wise. 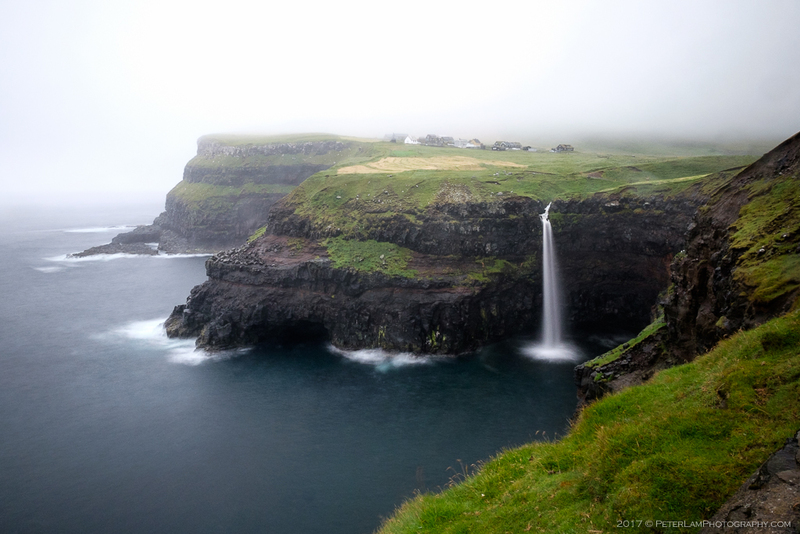 Rain and wind put a damper on planned hikes to Gásadalur, site of probably the most photographed waterfall on the Faeroes, and Sørvágsvatn, the largest lake on the islands. Hi Peter, love your posts. Have been reading a lot for my next trip there in August. One key question. I saw one of your friends using hiking sticks. I even bought a pair. But since I’m a photographer and also have a drone, I am considering only using them when it’s really necessary. Where do you suggest they will come in handy and where do you think they’ll be more disturbing than anything else? Thank you! Pavlos. Good idea. I don’t remember Slaettaratindur being especially challenging, just long. And lots of people to keep you company! Great post Pete – beautiful pictures! Thanks Nicola. So many pics to go through!